A 3-0 win over Poland on Sunday has given the nation a chance of reaching the knockouts, and their fans celebrated in style afterwards. 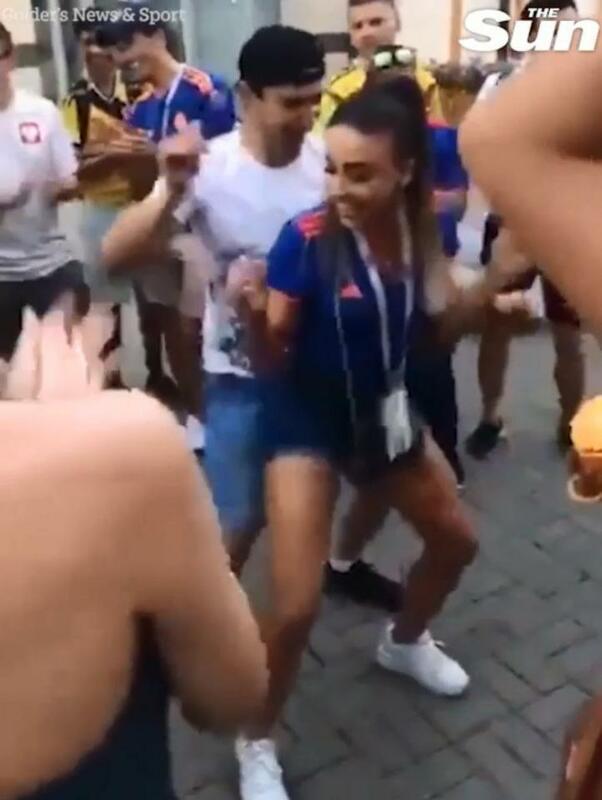 Ahead of the crucial decider against Senegal on Thursday, footage of one female fan went viral as she cavorted with supporters from other nations. A crowd began to form around the brunette and her friend as they began to dance with fellow fans in Kazan. Colombia boss Jose Pekerman, meanwhile, will be more focused on what Thursday’s decider. James Rodriguez and Co. still have their future in their own hands. A win over Senegal will take them through to the knockouts and may set up a last-16 tie with England. 0 Response to "World Cup: Stunning Football Fan Tw@rks On Male Supporter After Match Win (Photos)"